The ultimate portable edition of one of the great books of all time. 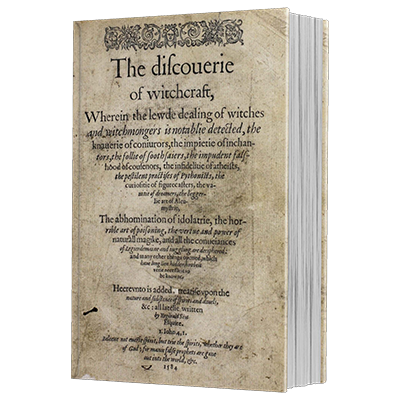 Dr. Nicholson's edition of the Discoverie of witchcraft. This is a very special edition of Reginald Scot's The Discoverie of witchcraft. We scanned our copy of the very rare Brinsley Nicholson edition of 1886 (the printing was limited to only 250 copies). This is considered by many to be the most desirable of the various editions of Scot and this is the first time it has been available in Text-over-Image PDF format. Brinsley Nicholson was the first, and most thorough researcher into Reginald Scot and the Discoverie. Amongst other great details this book is why we know some personal facts on Scot and also about King James ordering the book burned many years after it's publication.